Bryce | Robert S. Minch, D.D.S., P.A. Bryce is a 56 year old male from France and teaches French Literature at a University in Maryland. 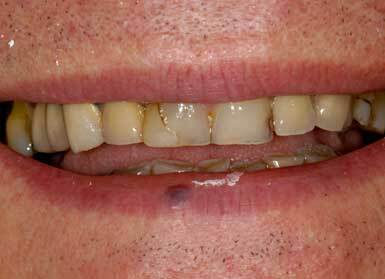 He was referred to our office because he was tired of his teeth continually breaking and he didn’t like his smile. 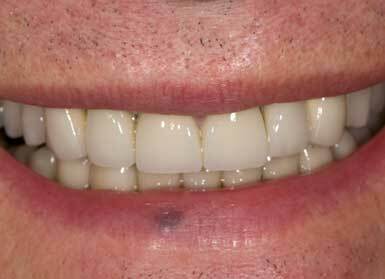 After having several dental implants placed, we designed a combination of veneers/ crowns and bridges to give him the smile and comfort he desired. Bryce was so grateful that he hosted my wife and I for dinner when we had our honeymoon in Paris! Click here to see a close up view.